On this day in 1928, Amelia Earhart became the first woman to fly across the Atlantic Ocean. On June 17, 1928, Earhart left from Boston on the plane Friendship with pilot Wilmer Stultz and Louis Gordon, copilot and mechanic. They planned to fly from Newfoundland to the United Kingdom, the most direct route across the Atlantic. Earhart had the job of keeping the flight log and taking notes on the ride. After a flight of twenty hours and forty minutes, Friendship touched down at Burry Port, Wales, on June 18, 1928. She became famous after that trip. “When she appeared in public, people reached out to touch her skin, pat her hair, and tug at her clothes,” Langley wrote. 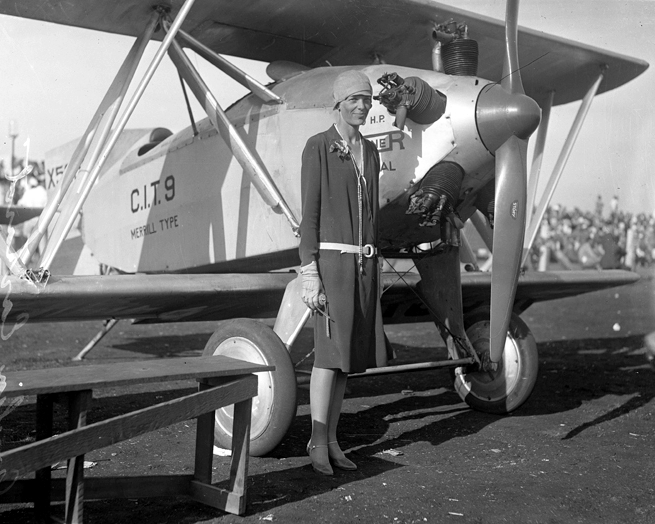 Earhart would go on to fly across the Atlantic by herself in 1932. Earhart wanted to prove that air travel was safe. Her achievements in the sky paved the way for commercial aviation to prosper. Next month, a group of scientists will launch a half million dollar exhibition to discover what happened to Earhart after she disappeared seventy-five years ago. “Amelia Earhart flew for the fun of it, she always said,” wrote Wanda Langley, author of Women of the Wind: Early Women Aviators. In 1937, Amelia Earhart took her plane, the Electra, on a round-the-world flight, a trip that was considered incredibly dangerous at the time. Earhart had made it all the way to the Pacific Ocean after flying over the Atlantic Ocean, Africa, and Asia when her plane went missing. The search, which will begin in July, has been sanctioned by Secretary of State Hillary Clinton. 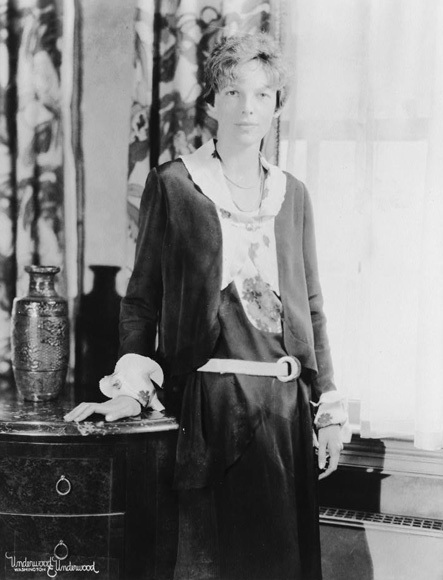 Amelia Earhart, according to fellow aviator Louise Thaden, “talked more people into the air than any other individual in aviation” in her day, wrote Langley.